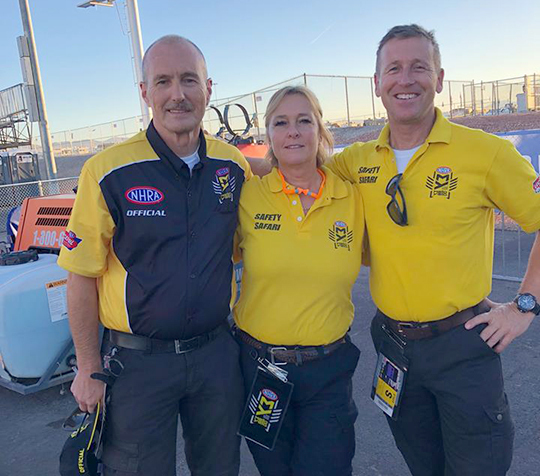 Harry Granlund, Annette Heleander and Göran Ekendahl at The Strip in Las Vegas, working with the Safety Safari, the NHRA counterpart to the Safety Group and our track staff throughout Europe. 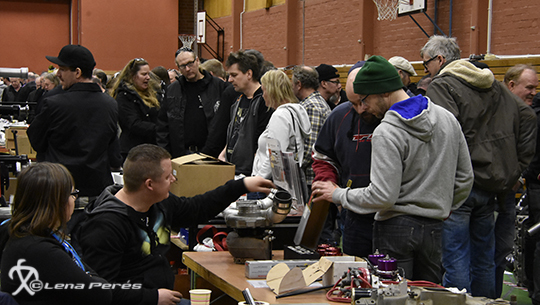 Last October, a group of Swedes attended a couple of NHRA races. The Las Vegas Toyota Nationals was first out on the tour and they spent four full days together with the NHRA Safety Safari. It is the American equivalent of our Safety Group as well as the staff handling track preparation around Europe. Next up on the tour was the Auto Club NHRA Finals at the Auto Club Raceway in Pomona.